Eudora Brewing Co. is Dayton's first and only customer brewing facility and nano-brewpub. Both the tap room and the customer brewing area are now open! At Eudora, YOU are the brewmaster. Anyone over the age of 21 is welcome to come in and brew their very own batch of beer in our brew-on-premises facility. We have a variety of styles available to brew, and we're continually adding styles to choose from. Whether you've brewed before or you have no idea what you're doing, we're here to guide you through every step of the process and make it as easy and as fun as possible. Eudora also serves as a taproom, where we brew our own ales and lagers and serve them on draft. The pub is open to brew-on-premise customers as well as the general public. 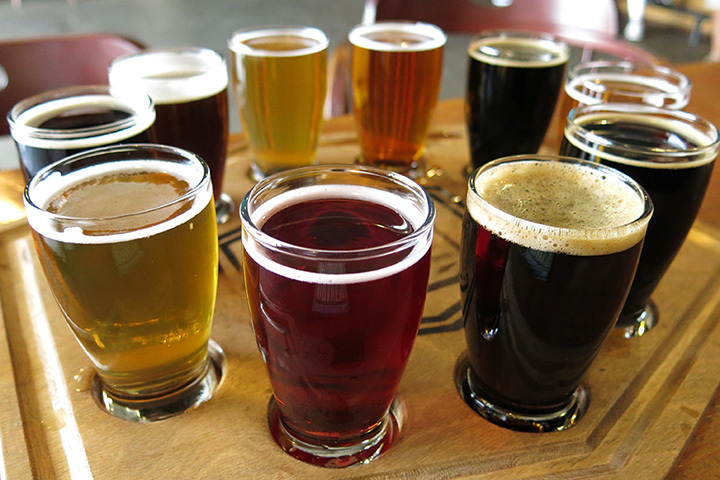 We offer a variety of award-winning house-brewed beers as well as non-alcoholic beverages.